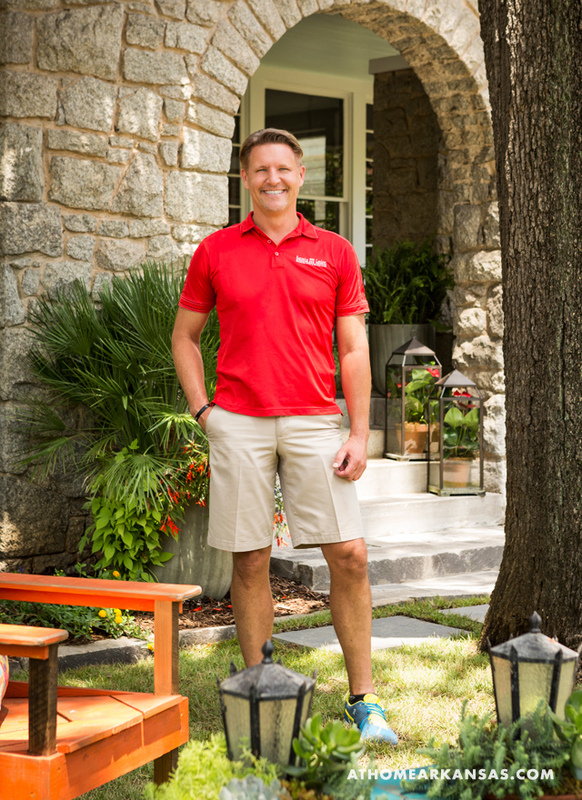 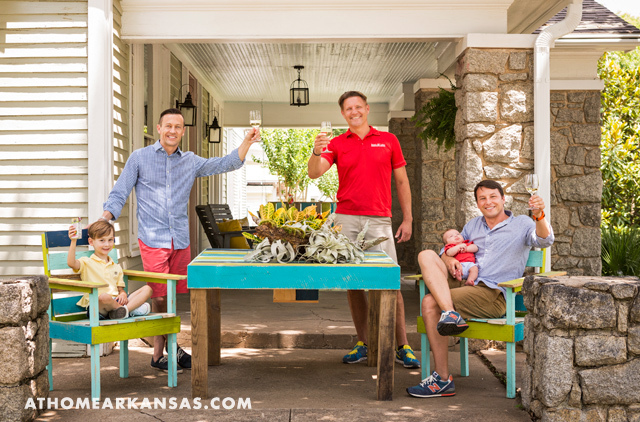 This spring, the editorial team of At Home in Arkansas and Chris H. Olsen reviewed hundreds of entries to our second-annual Curb Appeal Contest. 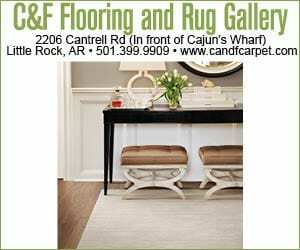 This month, we’re excited to reveal the winning entry and its new design. 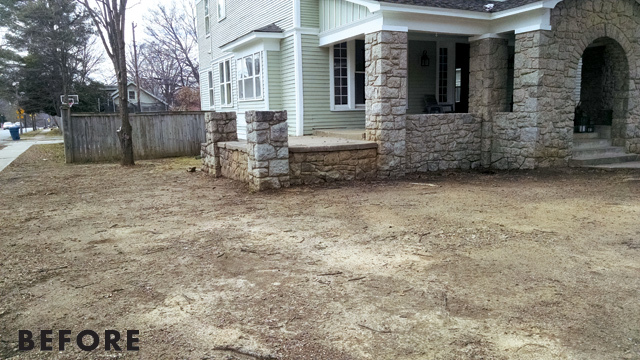 After reading this excerpt from homeowner Curtis Chatham’s entry letter and seeing the desolate pictures of his front yard, we longed to make it a place where the entire neighborhood could gather. 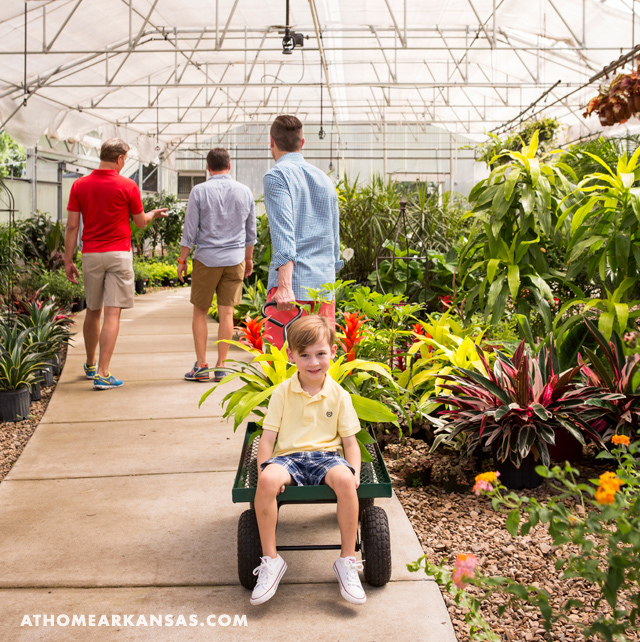 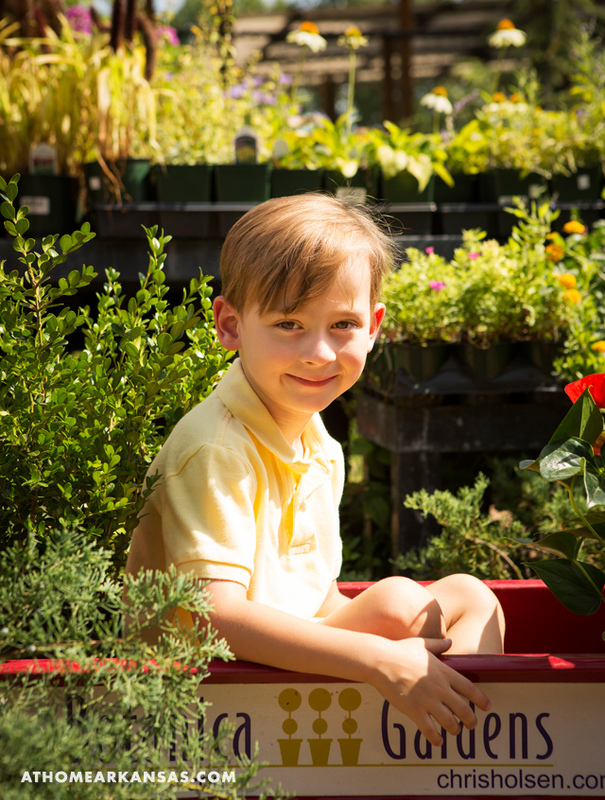 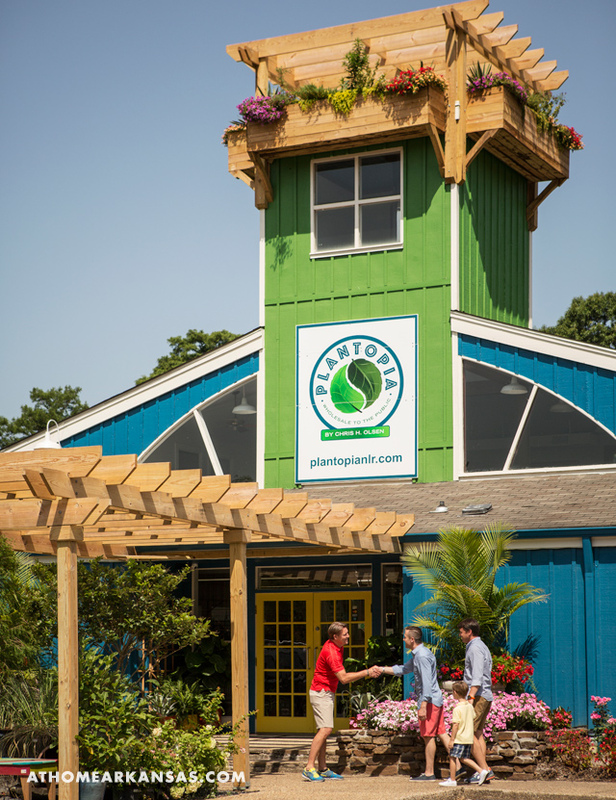 After looking at initial plans, Chris and the homeowners—along with their oldest son—started the design process at Olsen’s newly opened North Little Rock nursery, Plantopia. 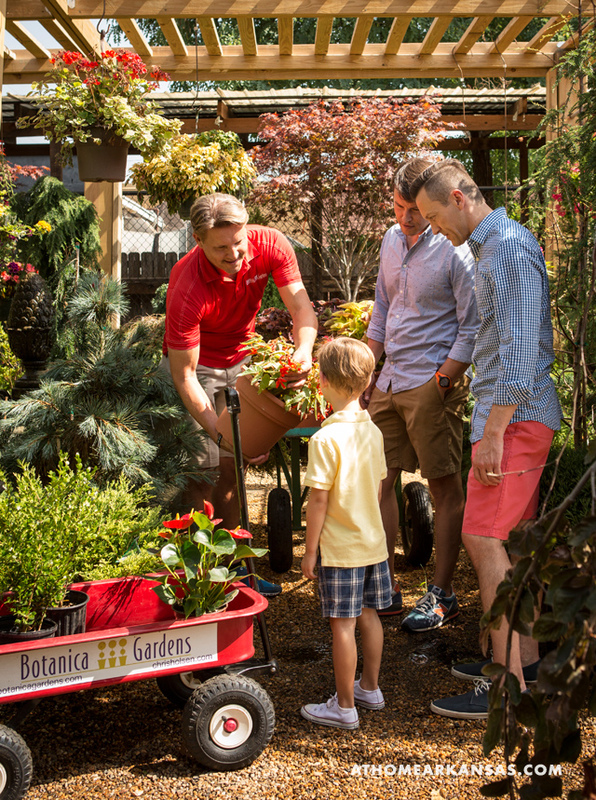 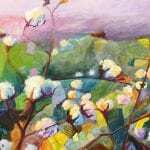 Here, they looked at shrubbery, including azaleas, for foundational plantings in the beds. 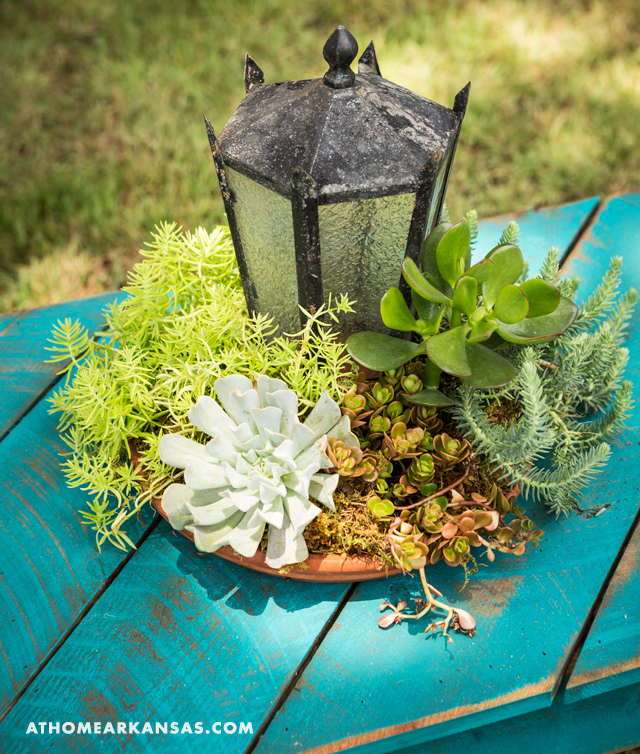 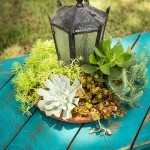 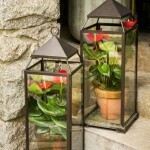 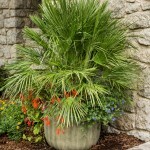 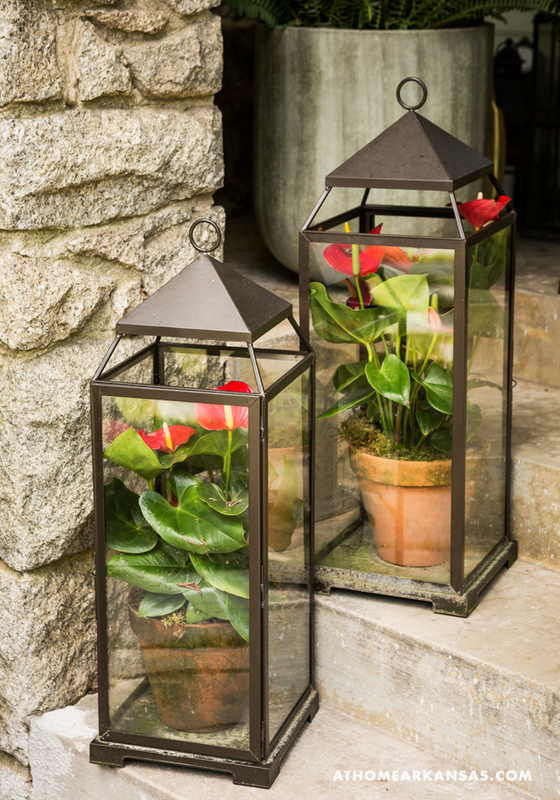 Olsen also showed them how to add pops of color with seasonal plantings. 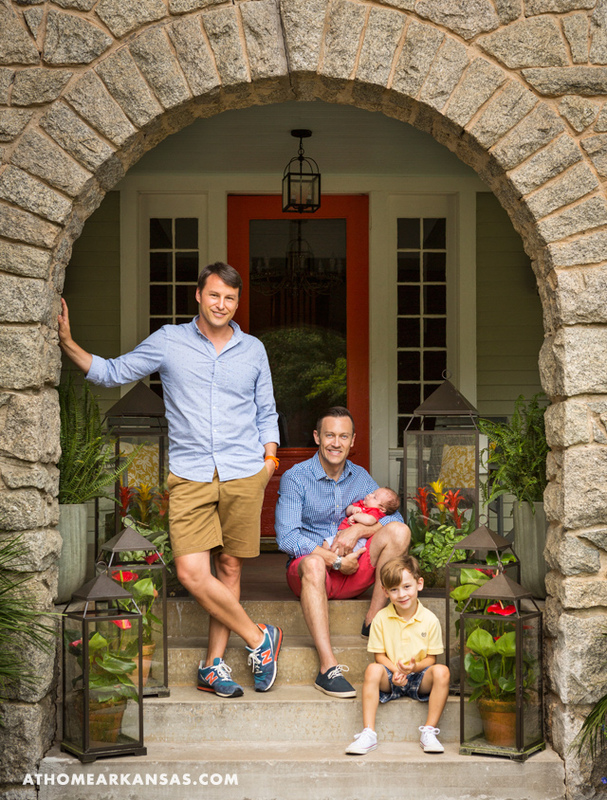 Next, they visited Olsen’s Botanica Gardens in Little Rock to find boxwoods for use at the sidewalk entry and along the corners of the home’s foundation. 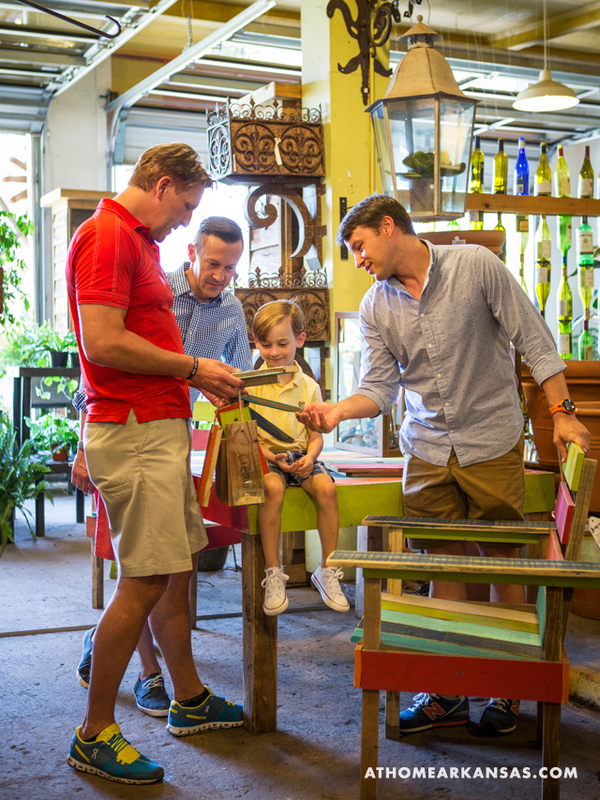 Here, their young son Corey was delighted to help pick the colors for the new outdoor furniture. 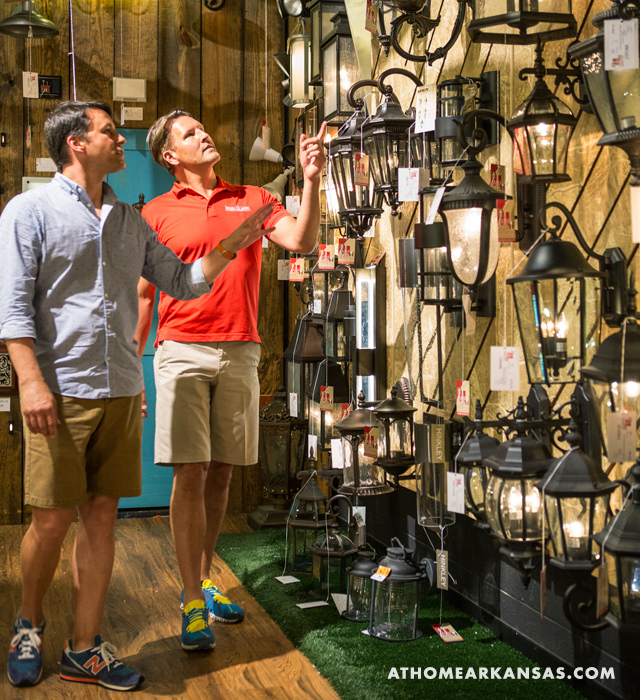 Finally, it was time to select lighting to accentuate the updates. 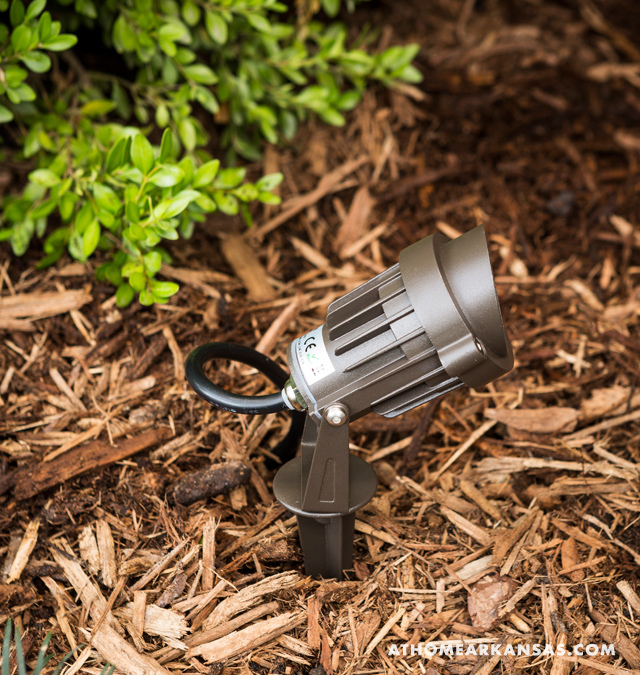 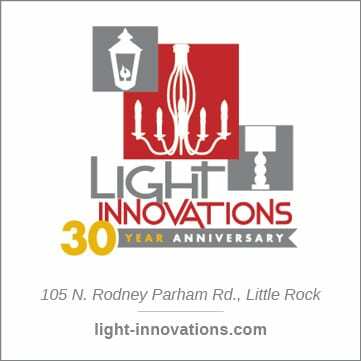 Olsen and the homeowners visited with Little Rock’s Light Innovations to select path lights and uplighting that illuminate the newly planted areas. 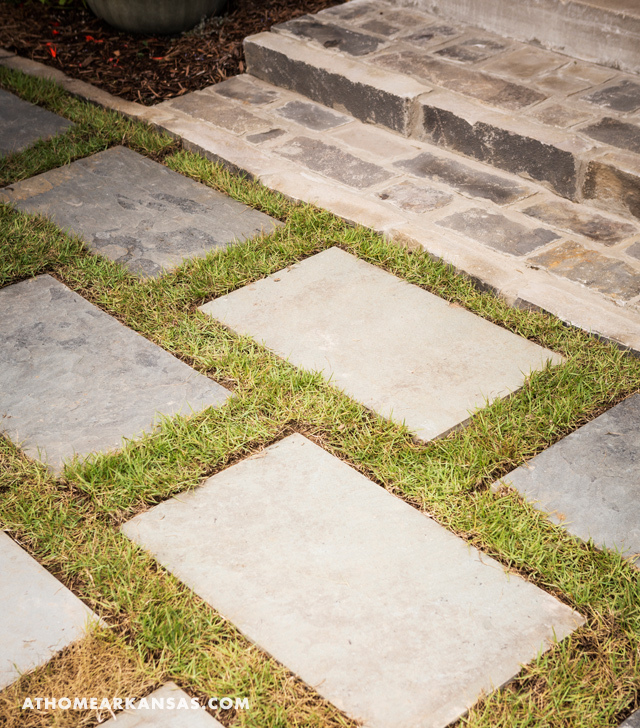 One of the biggest transformations was in removing the small, existing walkway and replacing it with a modern-style grid of traditional gray flagstone. 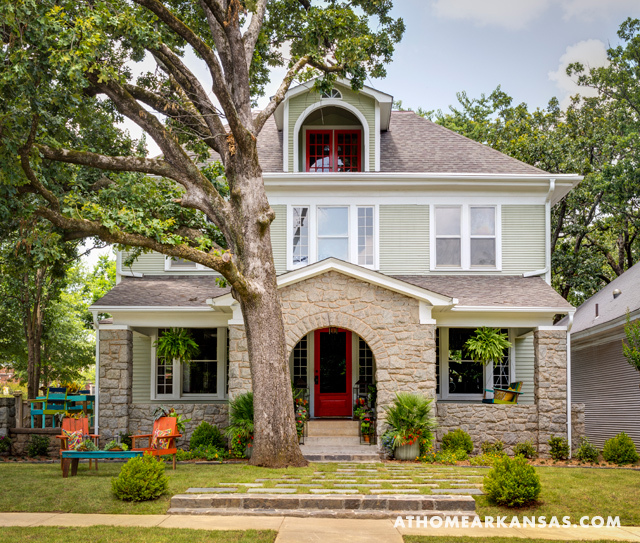 This mix of classic and contemporary is a nod to the homeowners’ two different design preferences. 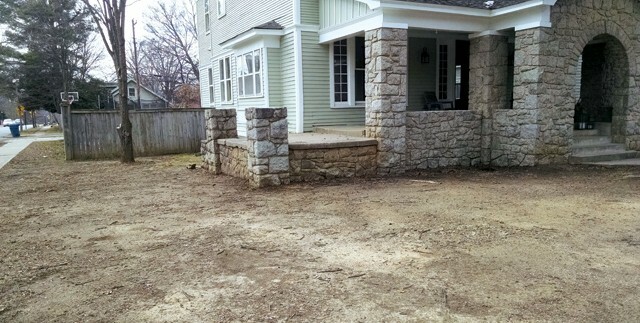 This uninterrupted area also provides plenty of turf space for the kids to play. 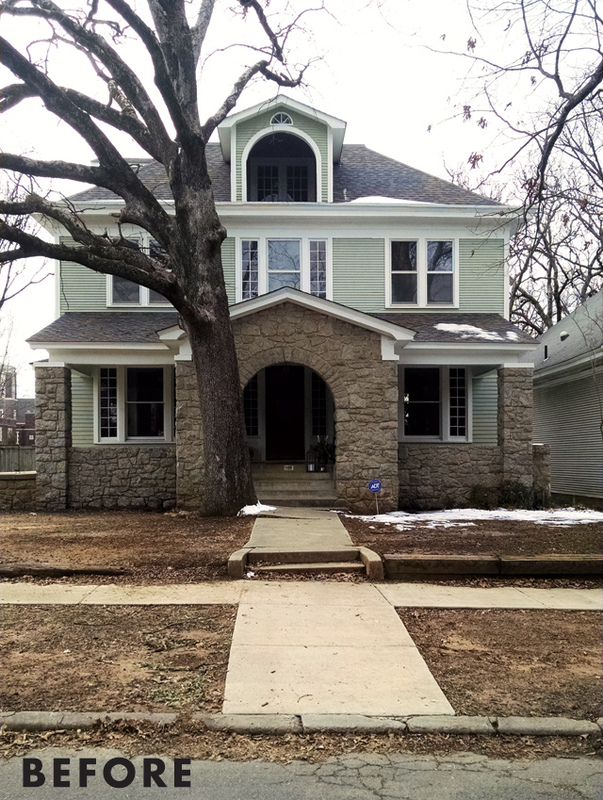 Olsen also extended the length of the front steps that lead up to the house from the street. 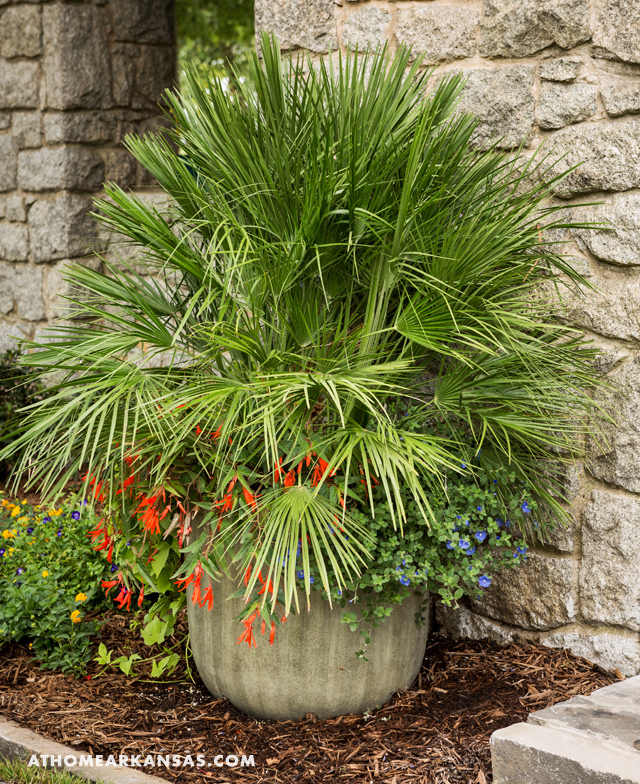 This, coupled with classic ‘wintergreen’ boxwoods, helped to create a sense of grandeur at the entrance. 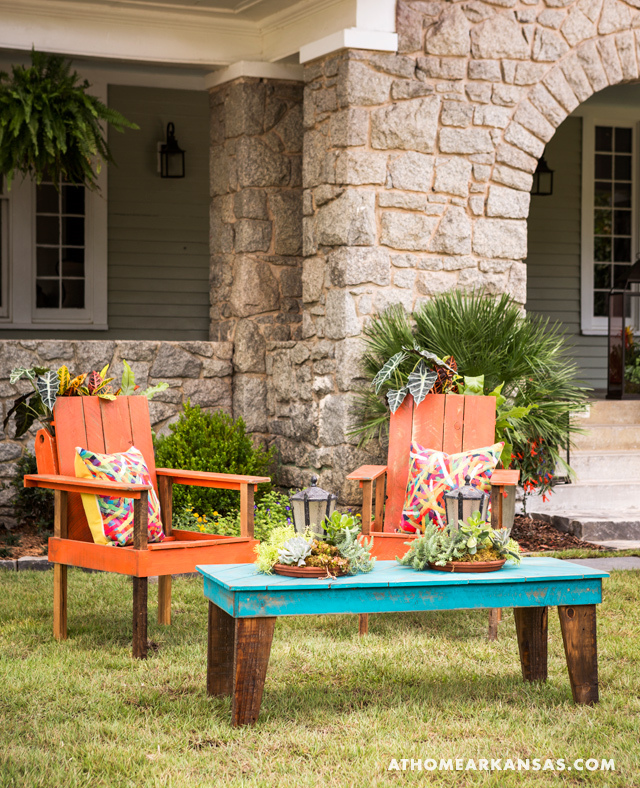 Three separate seating areas—including a porch swing, dining table and chairs, and Adirondack chairs offer an abundance of relaxation options. 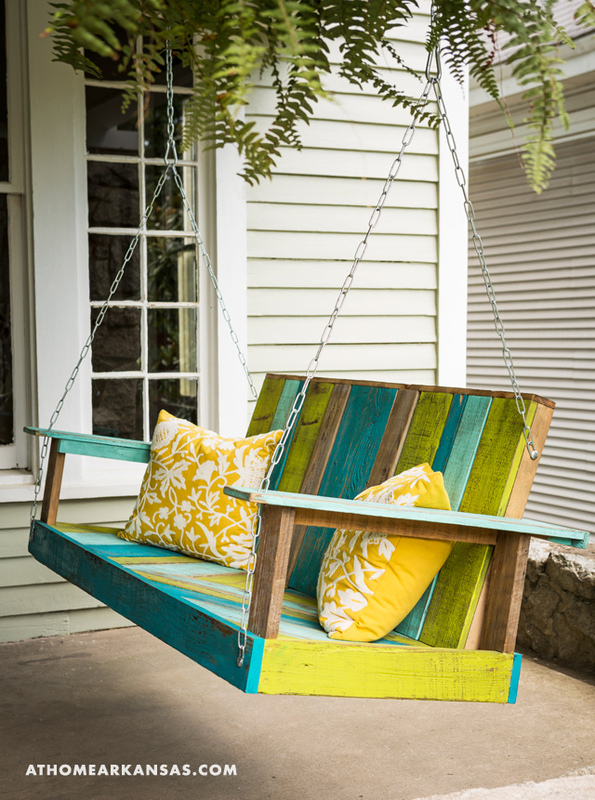 The pieces are all from Olsen’s Jhemajang (hem-a-jang) furniture line, which encourages mixing different designs for chairs, benches, and tables.